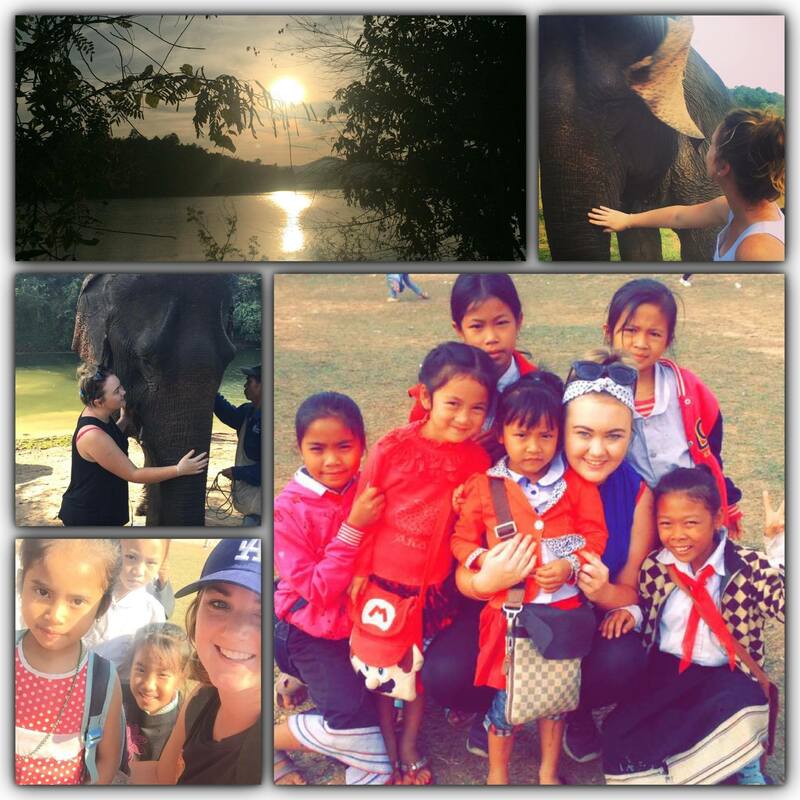 In January of this year, we were lucky enough volunteer for two weeks in Laos, South East Asia. Laos is a communist country that only opened its borders to the rest of the world in 1990. As a developing country, a third of its population are living well below the poverty line. In our short time spent there it was evident that although they may be poor, they were rich with happiness and love. We found Laotians to be deeply family orientated and the most generous and hospitable people. Our volunteering consisted of construction in a small village primary school, and at an elephant conservation centre both situated in the heavy military based province of Sayaboury. In our studies to become registered nurses, cultural safety is a key aspect of providing competent care to patients. Our time spent with people from a totally new and different culture and religion (Buddhist) was eye opening, teaching us so much that we did not know about ourselves. We have realised the importance of culture in people’s lives and furthermore have the utmost respect for their beliefs. In Laos everyone, from the children in kindergarten to the elderly who remain in family homes until they pass on, shows so much friendship towards anyone who may cross their path. They are always willing to teach, we don’t think they realised just how much they actually taught us. Our time in Laos showed us that there is so much beyond what meets the eye and that culture is not only the basis of a persons’ life. For us, the experience was a lesson on how to live our lives. Tags: cultural safety, Laos, nursing students, volunteering | Permalink. We offer a warm thank you to talented NZNO member, Judy Hitchcock, for sending us this International Nurses Day poem. There’s material citing ‘resilience’ that really should be read. We need to look at what we do, how and why and we must do it soon. Harder to quantify as ‘savings’ the quality that’s been lost. Targeted for their commitment, it’s not just resilient they must be. Florence showed indomitable resilience, tending those injured in the war. You can almost hear her speak. Thoughts become our actions and speak louder than the spoken word. Resilience and determination will ensure our voices will be heard. Resilient and yet still caring: it’s what nursing is all about. Tags: International Nurses Day, NZNO, Poetry | Permalink. 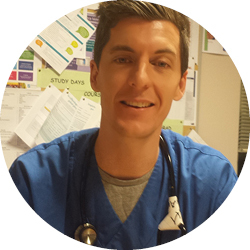 An International Nurses Day message from NZNO chief executive, Memo Musa. On Thursday we celebrate International Nurses Day, Florence Nightingale’s birthday, a very special day for our profession. It seems to come around quickly, which I think is an indication of the busy lives and careers nurses’ juggle. Nice that it does, too – because nurses are worth celebrating often! After listening to presentations about some of you work at regional conventions around the country recently, I concluded that every day we should celebrate international nurses day, as nurses are involved every hour of the day in caring for someone in our health system. Nurses are the largest profession in the health system, and without you the health outcomes for people receiving care and treatment in the health system would not be improving as they are. I often reflect that nurses hold the world together. We are in every community, culture and society the world over. Nurses are the woman and men who see health holistically and are able to innovate and advocate for whole person, whole whānau and whole population health. 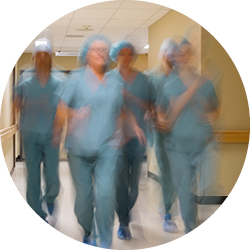 The theme for this year’s International Nurses Day is Nurses: A Force for Change: Improving health systems’ resilience and here at NZNO we are certainly taking that challenge on board. NZNO members are at every level advocating for a resilient New Zealand health system where everyone can access the healthcare they need, where and when they need it. Our policy advisers and researchers are providing government and other decision makers with the evidence needed to make good and sustainable decisions. 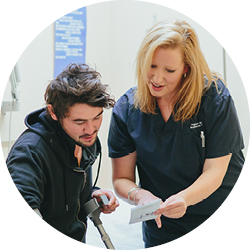 NZNO members like you are making the difference to healthcare in your workplaces and communities and beyond. 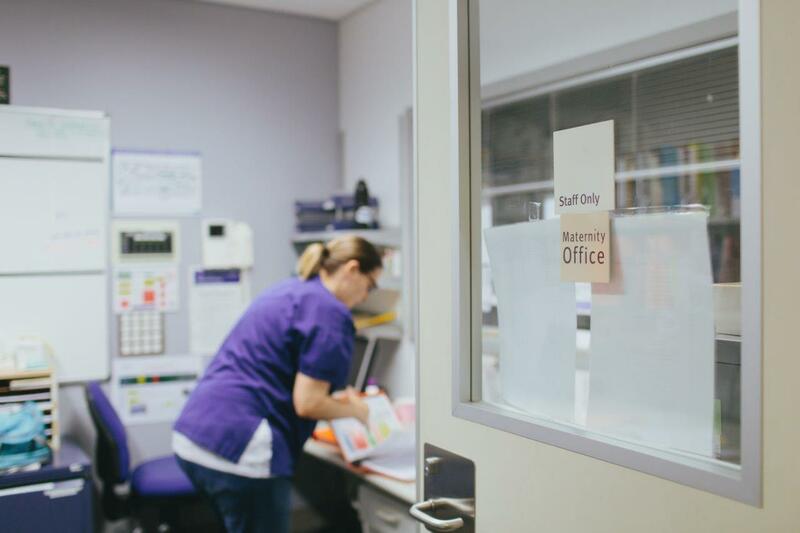 Along with the World Health Organisation and the International Council of Nurses, NZNO believes that action on the social determinants of health should be a core part of nurses’ business. Not only does it improve clinical outcomes, and saves money but taking action to reduce health inequalities is a matter of equity and social justice. Nurses, people in the health system can’t reach their goals without you, and we can’t reach our goals without you too. Tags: International Council of Nurses, International Nurses Day, nursing, NZNO, World Health Organisation | Permalink. Hi, my name is Lyndal Honeyman and I’ve been a midwife for 5 years now. I started studying midwifery because I was fascinated with the physical process of pregnancy and birth. It seemed mysterious and I wanted to know more. What sustains me now is more than the processes of pregnancy and birth, it’s the whole journey of meeting women and families, walking with them as they grow and develop, give birth and begin their new life with a new baby. There is one woman’s story that has stayed with me for years. It’s not a complicated story or a bad or sad story. For me, it’s a story that reminds me why I became a midwife. They were a young couple and the woman was pregnant with their first baby. When I first met them, early in her pregnancy, she was feeling really unsure about the pregnancy and becoming a parent. Sadly, she had been told by a medical professional that because her body mass index (BMI) was relatively high she would have a difficult pregnancy and definitely need a caesarean section birth. What better way to make a woman feel like she’s not good enough! The poor woman was feeling ashamed, like she wasn’t good enough to be pregnant, let alone be a mother. 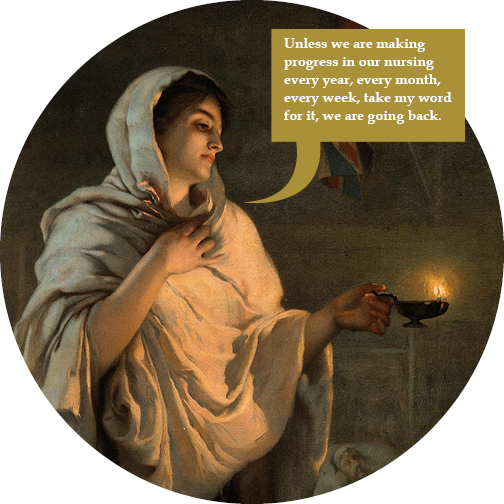 She felt like she would fail at everything – birthing, feeding, mothering. Fortunately we had plenty of time to build a relationship and I was able to reassure her and help her begin to delight in her pregnancy. She went into labour pretty much right on her due date, which was great, and she had quite a long early labour. I saw her at home several times before we made the decision together to go to the birthing unit at the hospital. Because the early stage of her labour was so long she was tired and began to get anxious and self-doubting again. We discussed the next steps. She decided to have an epidural to assist her body to rest, as she had tried other physiological and pharmacological methods and found that they were not working for her at the time. 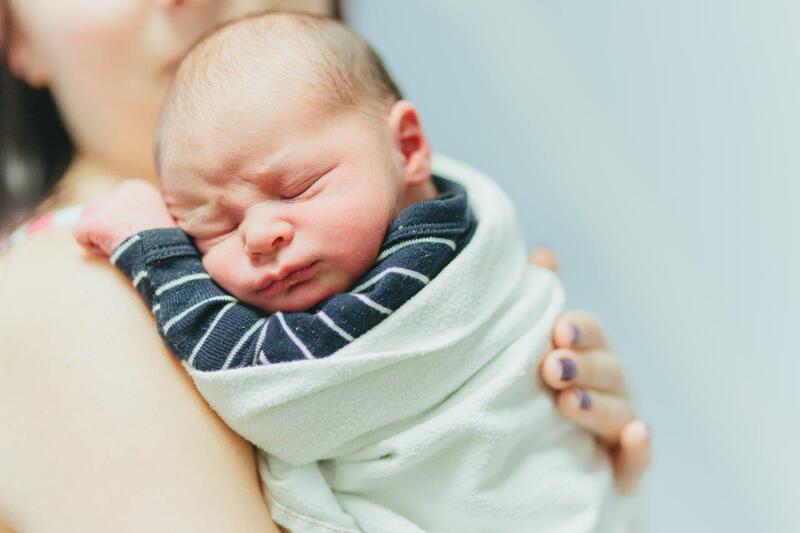 We were able to help her create a calm and relaxing environment, which was very important to her to have, and she progressed very quickly and gave birth – on her hands and knees – to a handsome baby! She ended up having the birth she never thought she could have and I have never seen anyone so over the moon. I could see on her face the sudden awareness that she was a strong and awesome woman, capable of anything! Suddenly it all came together for her – she knew she’d be able to feed her baby, she knew she’d be a great mother. They went home the next morning feeling really, really confident. And I went home that day feeling excited and humbled. I was honoured to have helped this woman to realise confidence in herself and her body, and was privileged to be part of her journey into motherhood. I still feel relatively new in my career as a midwife. I am inspired by my colleagues who are so skilled, insightful and confident, whose years of practice have made them so wise. One day I will be like them. Tags: International day of the midwife, midwife, midwifery, NZNO | Permalink.